Governor Andrew M. Cuomo today announced that the New York State Police issued more than 4,000 tickets during a special STOP DWI traffic enforcement campaign over Super Bowl Weekend. State troopers issue 4,098 tickets during 38-hour STOP-DWI enforcement campaign. Albany, NY - February 13, 2017 - Governor Andrew M. Cuomo today announced that the New York State Police issued more than 4,000 tickets during a special STOP DWI traffic enforcement campaign over Super Bowl Weekend. 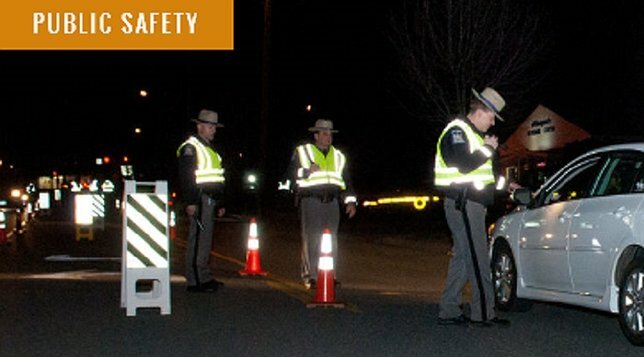 State Police increased patrols and conducted sobriety checkpoints to deter, identify and arrest impaired drivers during a 38-hour crackdown from 2 p.m. on Saturday, February 4 through 4 a.m. on Monday, February 6. "I commend law enforcement officers across New York for their diligence and dedication to protecting the lives of motorists during this campaign, and throughout the rest of the year," Governor Cuomo said. "We have zero tolerance for impaired and reckless driving and these enforcement efforts send a clear message that dangerous drivers will be caught and will be held accountable." State Police Superintendent George P. Beach II said, "Highway safety is a priority for the State Police, and we will not tolerate reckless and impaired drivers. If you drink, make alternate plans for a ride home, or you can expect to be arrested by a State Trooper or one of our local law enforcement partners." DMV Executive Deputy Commissioner and Acting GTSC Chair Terri Egan said, "This year’s Super Bowl was one for the ages, with one of the most exciting finishes of all time. While millions gathered to watch the big game, our dedicated partners in law enforcement were detailed across the state to make sure our roads were safe for New York’s families. I thank our law enforcement partners for their dedicated efforts not only this past Super Bowl weekend, but for what they do every day of the year." During last year’s Super Bowl enforcement, State Police issued 4,686 tickets and arrested 92 people for DWI. The results of the campaign by Troop are also available here. Subject: LongIsland.com - Your Name sent you Article details of "Governor Cuomo Announces State Police Arrest 110 People for DWI Over Super Bowl Weekend"